Chia seeds aren't really a recipe, but i thought they might be worth posting. They are pretty much a super food. They don't really have a taste at all, and kind of look and feel like poppyseeds. When they absorb water, they look like little frog eggs. (Don't worry they're not that gross) Just a few of the many good things about them: they are the number one source of Omega 3 fatty acids, even more than flax seeds. This Omega 3 helps circulation and the heart. The omega 3s break up the lipids which cause blood clots, varicose veins, high blood pressure, stroke, heart attacks, cardiac arrhythmias, and high triglycerides. Besides this aspect of them, they help diabetics by slowing blood sugar spikes. They have 3 times the antioxidants than blueberries. 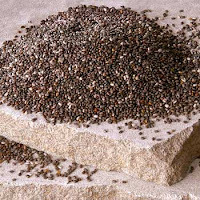 The fiber in chia seeds helps with digestion. In 2 ounces of milk there are 120 milligrams of calcium. In 2 ounces of chia, there are 600 milligrams of calcium. That means chia has 5 times the amount of calcium than milk! The other aspect of chia seeds, is their ability to fuel endurance activity such as running, which is why i love them so much. They have 2 times the potassium as a banana which means more electrolytes than in Gatorade. The seeds absorb up to 30 times their weight when put in water so they are great for keeping hydrated during athletic events and just throughout the day. The other reason why they are so good for endurance sports is because the chia gel (formed when you soak the seeds in water) causes a slow release of carbohydrates, which slowly convert to glucose that your body can use for energy. The way that we've been eating them is by putting them in our green drinks in the morning. For four people you would soak 1/4 cup chia seeds in a little water while you make a normal spinach fruit smoothie. 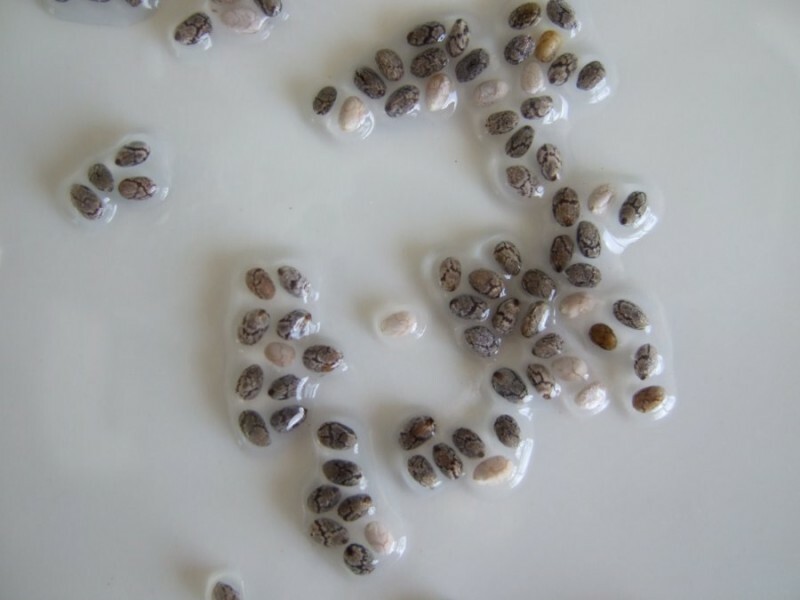 Then, after the seeds have soaked for about 5 minutes (soaking time isn't very important because the seeds absorb any stomach liquid as well so they are affective even if swallowed dry) anyways after they have soaked, blend them in with the green drink and enjoy. 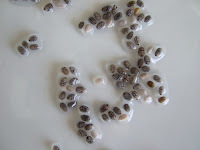 You can also just stir a spoonful of the seeds into an 8 ounce glass of water, let it sit, then drink it up. You will be hydrated and energized for the rest of the day! Stir every 5 minutes or so for about 30 minutes and I like it better cold in the fridge for a while too. I think I'll start using them in my green drink though. Thanks! Wow! I definitely want to start trying some. And the pudding sounds good, too, Lucy. Where do you get them? Health food stores? Thanks for the info Vic. I forgot that I was going to start using them a while ago! Our cousin Katie made chia seed pudding that was so good, and I even got the recipe for it but now I'm going to have to go find it again. It might be the same as the one you make Lucy. Yum! What about sprouting them, could that be done as well? For I am just getting into sprouting as well. Thanks! I've been hearing about these but not sure about some of the hype. This was great info! I've had trouble finding them--where do you buy them? Diana, I couldn't find them at Sprouts, but they've got to be around somewhere. I think I'm going to order some bulk so I'll let you know when I do- only $5 a pound right now.